Your Friend's Paws Have Been Asking For This. the most vulnerable part of their body during those hot summer walks. In only 10 minutes your friend will be ready for the next stroll! If you notice the hair around the paws turning red this means your friend is trying to self-heal by licking the pads and the area around their toes. 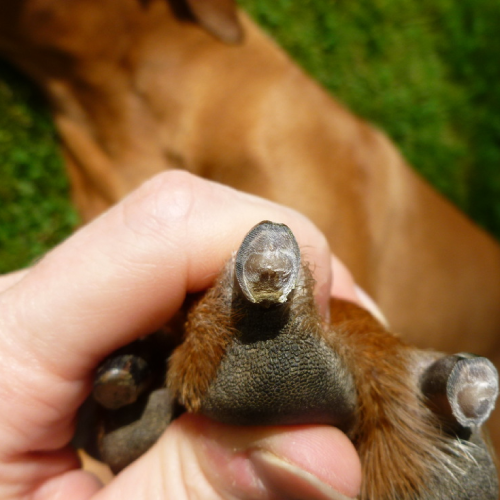 Most damage to the paws goes unnoticed and this is where we can help him/her feel better. Because there is no point of cleaning and healing without looking wow! We then proceed to do a complete nail grinding (filing) pawdicure, a $15 value all by itself! Filing is the safest way to reduce nails' length to their shortest. It provides a clean, soft edge to avoid scratches and noisy floors. Before jumping out, our assistants will finish up by applying an organic shea butter formula to all four paws that naturally moisturizes and replenishes pad skin's pH levels.